Welsh Local Government Association evidence to the Culture, Welsh Language and Communications Committee's inquiry on the role of arts and culture in addressing poverty and social exclusion. Welsh Local Government Association evidence to the Economy, Infrastructure and Skills Committee's inquiry into electric vehicle charging in Wales. 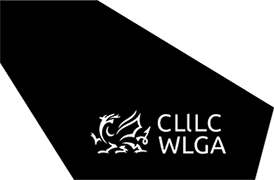 Welsh Local Government Association evidence to the Culture, Welsh Language and Communications Committee's inquiry into supporting and promoting the Welsh Language. Welsh Local Government Association evidence to the External Affairs and Additional Legislation Committee's inquiry into Wales’ future relationship with the European Union. Welsh Local Government Association evidence to the Equality, Local Government and Communities Commitee's inquiry into rough sleeping in Wales. Welsh Local Government Association evidence to the Children, Young People and Education Committee's inquiry into targeted funding to improve educational outcomes. Welsh Local Government Association evidence to the Public Accounts Committee's inquiry into the Welsh Government's Supporting People Programme.